If you love revolutionary gadgets and cool things, you will definitely fall in love with the hologram phone display being developed. His display is nothing like you have seen until now. It is smart, user interactive and created hologram 3D images, which can make your regular displays, look like those age old cell phone displays. The developing this is determined to launch the displays in the coming 5-10 years. They have created a display but it is not that efficient. With a little hard work and combination of the dream to create star war style 3D hologram phones, this company is determined to generate a fast holographic display to generate three dimensional images on the cell phone screen. It will be like your regular cell phone but the display is much better than the LCD displays available in them right now. It can make your smart phone much smarter. The display will allow you to view images from different angles, which is not possible in your regular LCD displays. In these regular ones, images are not properly viewable from particular angles. Either the color will appear to be faded or the image will appear to be dull and dark. Moreover, if you want to view the images from behind the cell phone, it is absolutely not possible due to the opaque back light. However, the Star Wars Style 3D Hologram Phone has a special back light that allows the user to view the images from every angle. 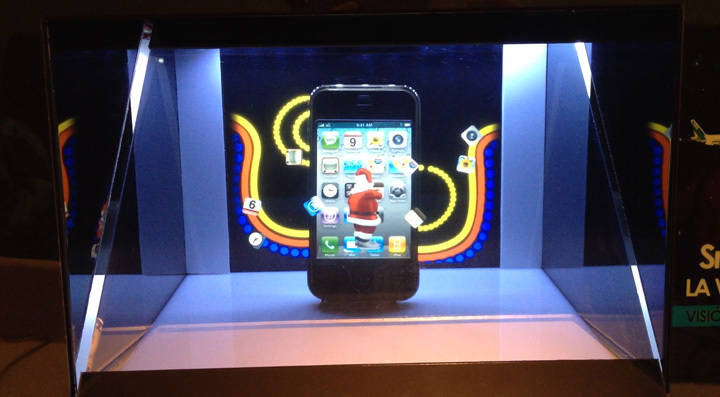 You can watch the display from anywhere to see a clear picture generated by the hologram projector. The image will not be distorted in any way. It will remain crisp and clear, as it should be. Moreover, you can even see the image from the backside due to the special back light. The researchers are also planning towards enlarging the size of the display so that they can develop Star Wars Style 3D Hologram television as well for the next gen entertainment. If you love your 3D television, you will definitely fall in love with this hologram three dimensional displays. There is no need to wear Polaroid glasses to see the three dimensional images in these smart hologram displays. You can enjoy the three dimensional effect with your bare eyes. 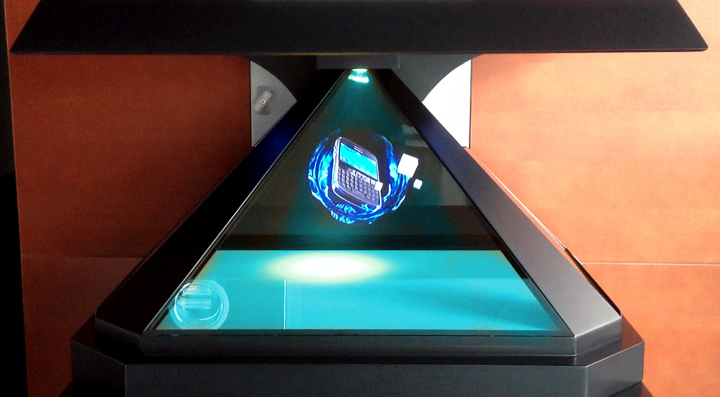 Hologram displays are getting quite popular even on the advertisement and marketing front. They can help you to generate response among the buyers, compelling them to get connected with your product. You can also be the part of this ultramodern approach with the help of the Olomagic holographic display projector. Olomagic provides all kinds of three dimensional hologram projectors ranging in size for trade shows, market displays, office displays and conventions. They are using the innovative technology to change the face of the advertisement displays with help of 3D holographic projectors. Contact Olomagic to have one for your brand marketing.